The reason why we buy sliced bread? Sorry, I know it’s been a very long while since I last posted. Things were frenetic in the lab and I’m taking the time these days to do a bit of catching up. 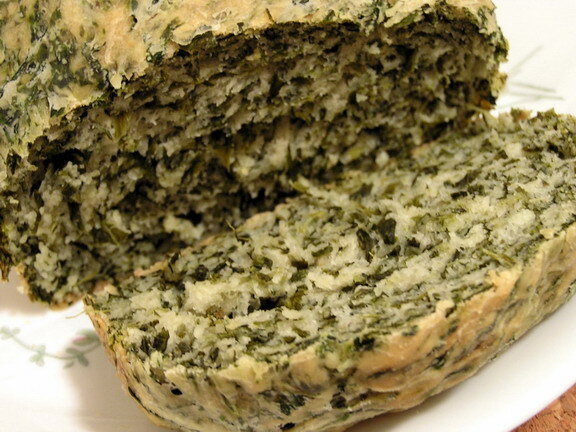 Now, on to the bread: it’s packed with dense, spinach flavour and makes a great, hearty tomato and mayo sandwich, or pairs nicely with carrot soup. 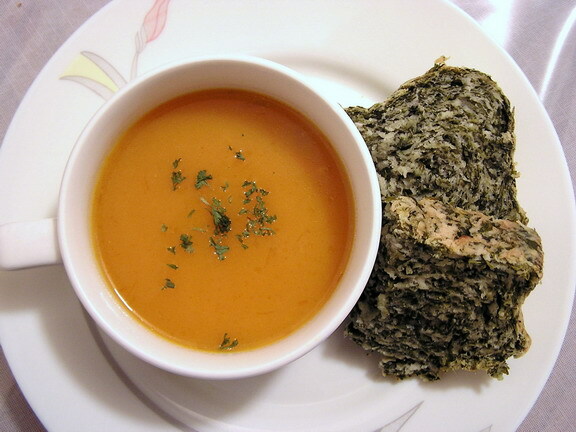 Spinach and feta cheese bread with carrot soup = dinner!